Tibetan Pulsing is an adaptation of the ancient ritual practices of the Tibetan monasteries into energy processes better suited to the western mind. This method is probably one of the strongest healing modalities happening on the planet and has the power to penetrate to the roots of unconscious patterns and pain held in the body. The pulse in our body is coming from the life force. It is connected with the breath and our aliveness. In the bodywork we are connecting with the ‘heart pulse” and touching points on our bio electrical circuits. This allows a very deep relaxation and the the feeling of going home. From this place of relaxation deep emotional blocks or emotional wounding such as betrayal, anger or fear is brought to the surface and gently releases in an un-traumatic way. The pulse also releases from the cells the charge of abuse or sexual abuse. Areas that we may feel we cannot easily access, the depth of the ‘heart pulse’ helps to bring this to the surface. During the pulsing process we can experience lucid dream sequences of old events clearing through with images. Rapid thoughts can come and go in a high speed as we drop into a deeper space. The organs are not just functional, they are also mystical. There are 24 bio-electrical circuits that Tibetan Pulsing works with. Dheeraj brought this jewel into a modern western form suitable for contemporary man/woman. He constructed the maps of the electrical circuits and did writing on the psychological conditions of the internal organs. Dheeraj discovered that by feeling the 'pulse' with his hands on areas of tension, pain, charge, or even tumors and by making sound that the deeply rooted tension and emotional blocks would start to pulsate and it would become possible to release and heal. Susanne co-developed the pulsing work with Dheeraj in the 1980's and 90's, co-created the Intensive, and other types of workshops at the ashram in India. Tibetan Pulsing is creative and unique in its approach using sound tuning the bio circuits, each circuit has it’s own colour, vibrational frequencies, music, movies supporting the life changing bodywork. Our body energy is functioning through bio-electrical energy. All our emotional sufferings and psychological problems are manifestations of bio-electrical blockages in our nervous system. In order to dissolve those blockages we combine our bio-electrical energy (vital life force) with the 'pulsebeat' of our heart in a meditative way. The positive energy of our hearts neutralizes negative energy through orgasmic relaxation. Pain is transformed into pleasure, suffering into relief and fear into bliss. The human consciousness is contained inside the electrical current. One way to bring consciousness to an area, is to bring an electrical current to that area. 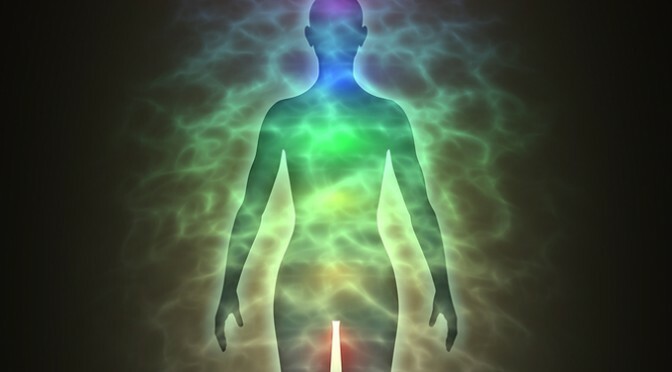 Connecting certain points on the body, feeling the 'pulsebeat' and using sound which stimulates electricity, positive electrical current flow runs through our nervous system, discharging areas of pain and suffering. A deep relaxation occurs bringing with it silence and deep meditative states. Tibetan Pulsing is a tantric bodywork that awakens your energy. Our bodies are our temples, capable of infinite energy, bliss, innocence, pleasure and aliveness. The experience of 'pulsing' feels good and deeply relaxing. The technique is a gentle continuous touch of the 'pulsebeat' on specific points on the body transmitting a magnetic flow of energy to the affected areas and they start pulsating. Results are profound and far reaching, physical tensions dissolve and past hurts and defences carried for years are released and it becomes possible to open up to deep intimacy and friendship. Often a new strength and confidence arises which transmits to people's work, relationships, creativity and health. It does not work by analysing the mind, the 'pulse' goes to the roots of problems such as depression, emotional anxiety, fear, doubt, anger, unworthiness, physical pain, candida, chronic fatigue syndrome and tensions. Treats psychological illness and brings awareness into the subconscious, leading to the transformation of difficulties with intimacy, relating and unresolved childhood issues.